Group One winner Written By will have a maximum of five rivals in the Blue Sapphire Stakes. 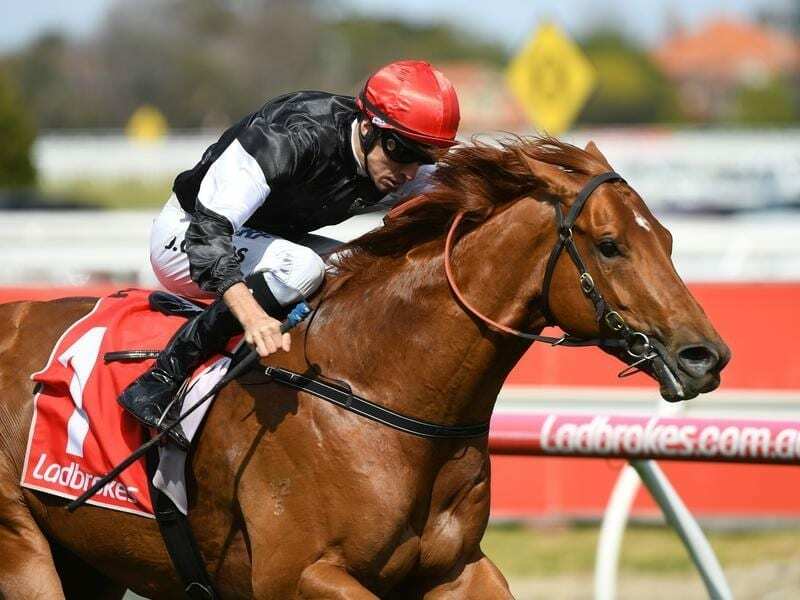 Blue Diamond Stakes winner Written By will have five rivals in the Blue Sapphire Stakes at Caulfield is his final lead-up to the Group One Coolmore Stud Stakes. The Grahame Begg-trained Written By is the highest-rated three-year-old among the six acceptors for the Group Three Blue Sapphire (1200m), the feature race on Wednesday’s Caulfield program. Among Written By’s opposition is set to be Godolphin’s last-start Group Two Danehill Stakes winner Encryption, Chris Waller’s stakes winner Performer, the Lindsay Park duo Tony Nicconi and Smart Elissim and debut maiden winner Spielberg from the Henry Dwyer stable. Written By’s only defeat from six starts has been his fourth in the Golden Slipper in March, and the colt returned from a spell with a short-neck victory at Caulfield on September 22 in a 1000m set weights plus penalties race against his own age. Written By was taken to Mornington for a gallop between races last Thursday as part of his Blue Sapphire preparation and he has barrier two for Wednesday’s race. His jockey Jordan Childs believes Written By has come through his first-up win well. “I thought he did a really good job first-up,” Childs said. “He wanted to race a bit fiercely and got taken on and was there to be beaten but I thought he held them on the line. “I think he’s got to step up again on Wednesday but he’s definitely on track for the Coolmore. The James Cummings-trained Encryption will again be ridden by Craig Williams who was aboard when the colt finished powerfully to win the Danehill Stakes last start. Wednesday’s eight-race card also includes the Group Three Ladies’ Day Vase (1600m) for mares which has a field of 13 headed by in-form I Am A Star who was scratched from Saturday’s Group One Toorak Handicap in favour of the Vase. I Am A Star, who has the outside barrier, is equal topweight at 58kg with Oregon’s Day.